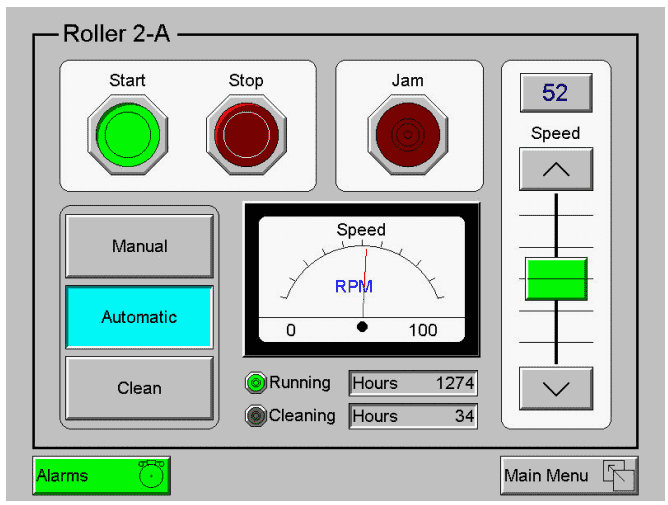 We will now look at the Horner XL4 user interface. The HMI (Human Machine Interface) part of the XL4 all in one controller will be what the operator views. 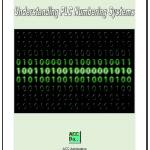 We will look at the features of the display and learn how our program will control what the display will show. Looking at the manual here is a picture of some of the ways in which you can display and enter information. 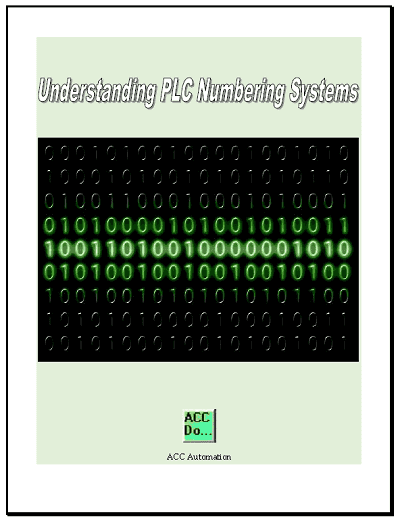 You can enter numeric data through the numeric data keyboard display. 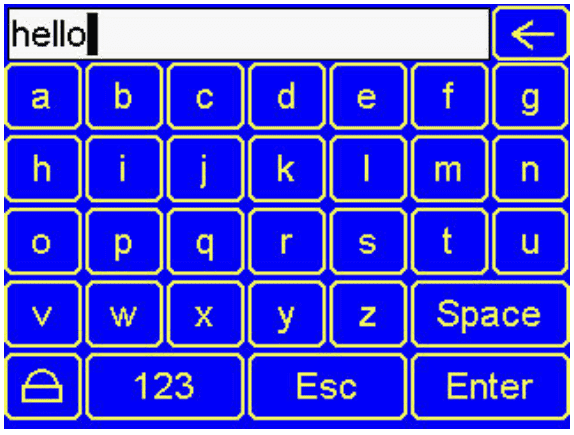 ASCII characters can be entered through the ASCII keyboard. Trend charts, bar graphs, etc. can also be programmed into the XL4. 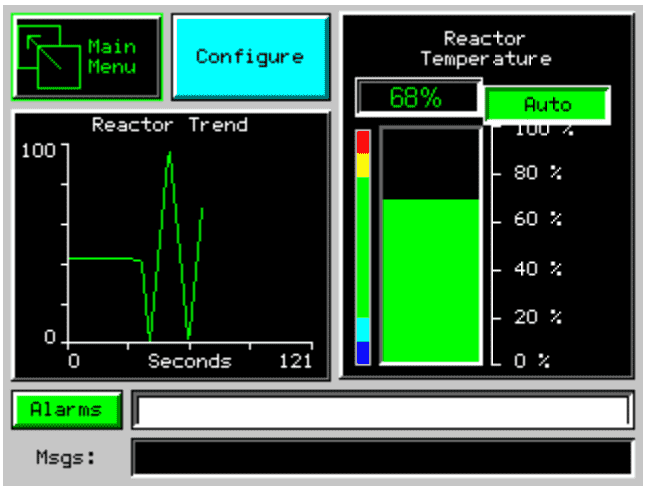 You can use a ‘screen jump object’ in order to move from one screen to another just using the HMI only. In the picture above you will see a main menu button. This is a screen jump object. 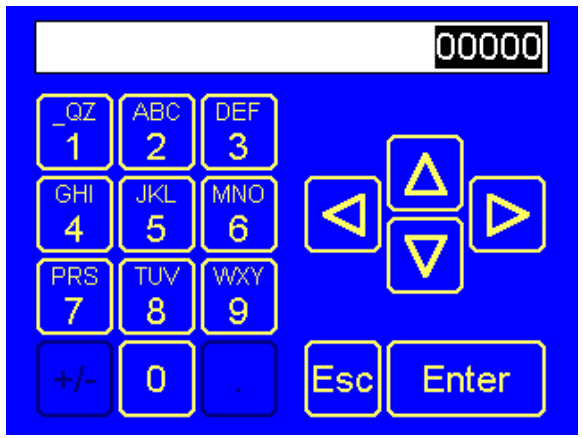 In the program, there are several different methods to use to control the screen. Coils can be tied to %D registers and make them screen coils. These coils can be selected as a screen switch or alarm. An alarm will override all other normal screen functions until the coil is turned off. The switch display will show the associated screen and once turned off the screen remains until it is switched by the user or program. Note: The force screen is the alarm screen setting. This is the top run of the diagram. The bottom rung is the switch screen. 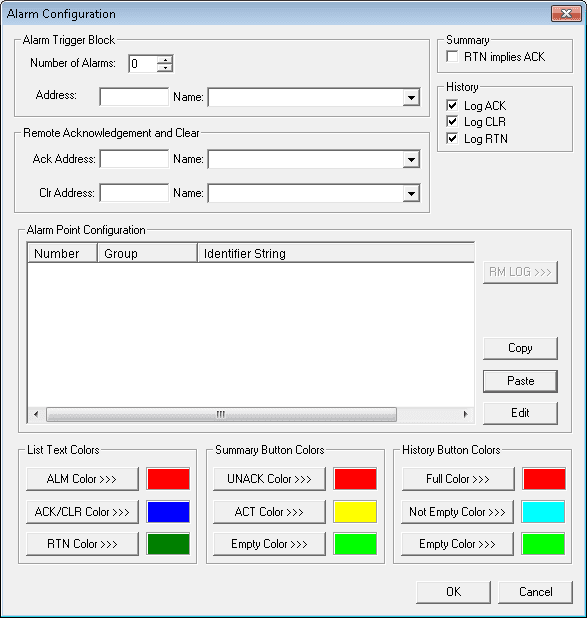 In the system register %SR1 we can read the current screen that is being displayed. If we move a value into this register it will display that screen number. The XL4 has an internal beeper that provides an audible acknowledgement whent the operator touches a graphic. This can be turned on an off though the system menu on the XL4. Screen Priority – This will adjust the maximum time per scan allocated to updating the graphic screen. Touch Sensitivity – In order to adjust this setting you need to enter a register for adjustment. This setting will allow the user to slip their finger on the display so the button is still being hit. The default setting will allow for approximately quarter of an inch of movement before turning off the selection. An alarm object is used to warn the operator. The display characteristics of the object is configurable. It is generally showed as a button that changes colours to indicate the state of the alarm. When the alarm object button is touched it will display the alarm viewer. This is where you can read, acknowledge and clear the alarms. System registers %SR181 and %SR182 are available to indicate the presence of unacknowledged or acknowledged alarms. 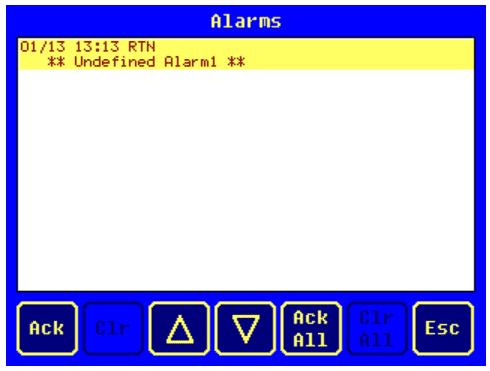 For further information on the Alarm Configuration use the help menu and look up ‘Alarm Configuration’ under search. The XL4 can use removable memory. This can be good for storing recipes, logging data, storing videos, etc. Please refer to the operation manual and Cscape software for more information. Next time we will look at timers and counters.